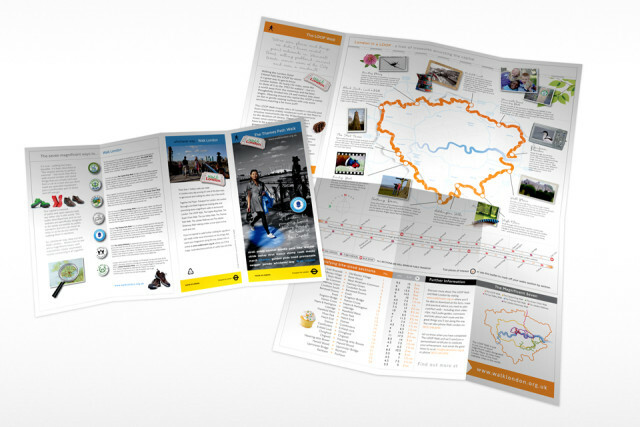 The brief from Walk London was to produce individual leaflets for each of London’s seven, self-guided walking tours. 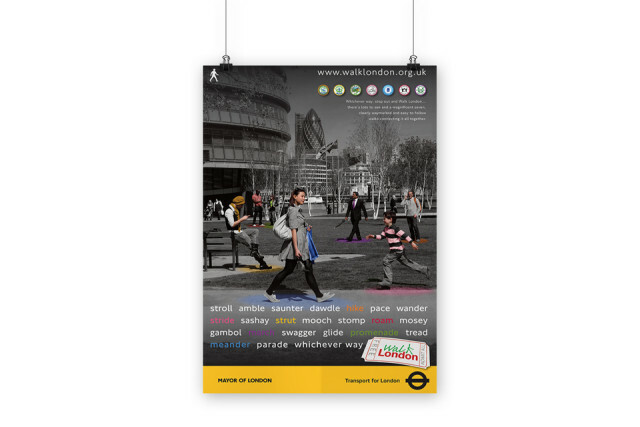 Each walk showcases various landmarks and historic attractions in and around London and our job was to ensure tourists and visitors had an easy to understand leaflet with detailed maps and entice them to try the routes. Imagery played a critical role in the leaflets, with sourced photography from image libraries complimenting bespoke photography. This included sourcing and managing models, location scouting and obtaining the relevant permissions and creative direction of the shoot. 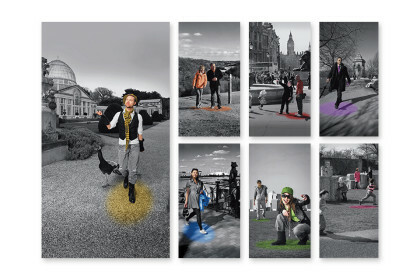 The images went through a series of post-production edits to theme them with the colour for each walk. Not only did SEA create the series of leaflets, but A3 posters were created to highlight the routes, to be sent out to local community organisations alongside the leaflets. 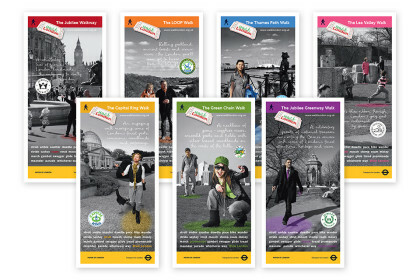 In addition to this, certificates were produced to send out to those who had completed the walks.